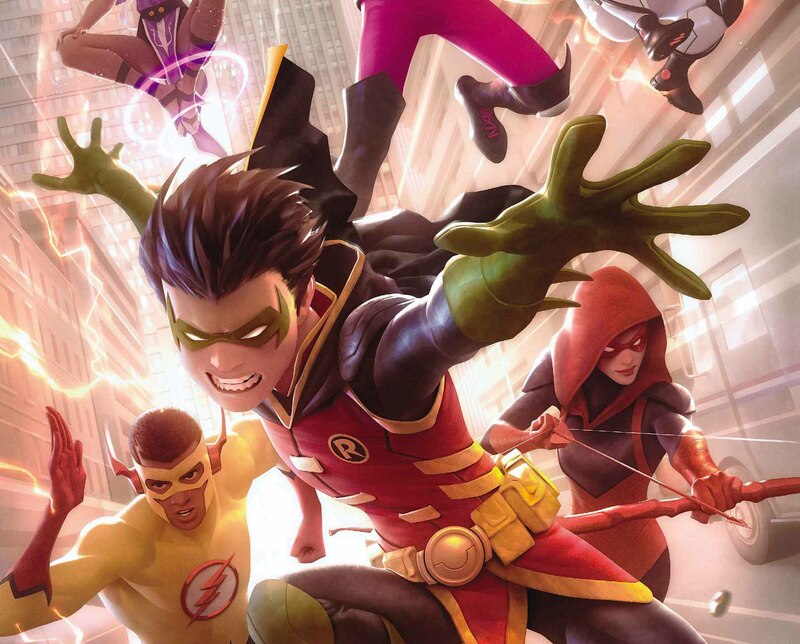 [EXCLUSIVE] DC Preview: Teen Titans #21 – AiPT! Next up on the Teen Titans’ target list is none other than longtime antagonist Gizmo. Next up on the Teen Titans’ target list is none other than longtime antagonist Gizmo, whose neighborhood toy store secretly serves as a front for his arms-dealing business. (You can get a Nerf blaster and a rail gun? Cool!) But this whole escapade is about to blow up in their faces when they find Gizmo strapped to an atomic bomb that’s about to go off–right in the middle of New York City. And it’s rush hour to boot? Nice knowing you, Big Apple!